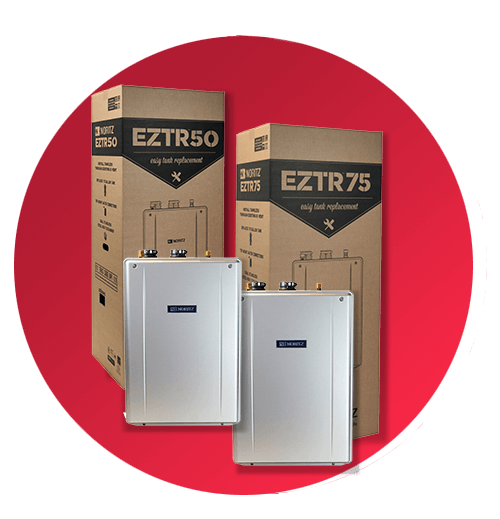 Now with the INDUSTRY’S FIRST 25 YEAR WARRANTY TANKLESS You can buy and recommend an EZ Series product (EZ98, EZ111, EZTR50, EZTR75) with confidence. We know you have may have questions. Feel free to drop us a line. During the applicable Warranty Period (specified below), Noritz America Corporation (“Noritz“) warrants to the original purchaser (“Buyer”) that the new Noritz gas water heater in the originally installed location (“Product”) is free from material defects in material or workmanship (the “Warranty”). There are different Warranty Periods for different components of the Product, as described below. This Warranty is for the benefit of the original Buyer only and terminates upon transfer of the Product from the original Buyer to any other person or entity. For this Warranty to be effective (i) the Product must be installed by a method recognized and authorized by Noritz and in compliance with Noritz published materials specifically indicated in writing to be applicable to the type and model number of the Product and in compliance with instructions in the Installation Manual and Owner’s Guide, which are included with the Product (“Proper Installation”); and (ii) Buyer must use the Product in compliance with instructions in the Installation Manual and Owner’s Guide, which are included with the Product. (b) For EZ/EZTR Products used for commercial applications, 8 years replacement on Heat Exchanger,  if the Product is used in other than a single family dwelling, or if the Product is supplied circulated water. (d) Parts other than Heat Exchanger, 5 years replacement of defective parts. Noritz will pay for approved reasonable labor to attempt to repair or replace the Product in the event of a Noritz-confirmed Defect for one year from the Warranty Effective Date..
3. How do I Use this Warranty? Within a reasonable time after Noritz receives such notification, Noritz will ship at Noritz’s expense, either new or used replacement parts to correct a Noritz-confirmed Defect. Buyer is responsible for any other costs, including but not limited to labor for servicing or replacing the part or Product (except to the extent that labor is covered as described in the Warranty Period section above), costs for permits or materials necessary for the repair or replacement, or incidental costs resulting from damage external to the Product resulting from the Defect. If during the applicable Warranty Period, the Noritz-provided new or used replacement parts, when properly installed, do not correct the Defect, or if Noritz is unable to correct the Defect after a reasonable number of attempts, Noritz will provide, at its option, one of the following: (i) a replacement Product (at Noritz’s option, either the same, comparable or better model), to be shipped at Noritz’s expense, or (ii) a full refund of the purchase price paid for the Product (excluding labor or installation costs). These remedies are the Buyer’s only remedies for breach of Warranty. THE FOREGOING WARRANTIES ARE IN LIEU OF ALL OTHER WARRANTIES, EXPRESS OR IMPLIED, INCLUDING BUT NOT LIMITED TO THE IMPLIED WARRANTIES OF MERCHANTABILITY, FITNESS FOR A PARTICULAR PURPOSE OR NON-INFRINGEMENT. NORITZ DISCLAIMS ALL OTHER OBLIGATIONS OR LIABILITIES ON ITS PART AND NEITHER ASSUMES NOR AUTHORIZES ANY OTHER PERSON OR ENTITY TO BIND OR ASSUME FOR NORITZ ANY OTHER LIABILITIES IN CONNECTION WITH THE PERFORMANCE OF THE PRODUCT. THIS WARRANTY ONLY COVERS REPLACEMENT PRODUCT OR PARTS THEREOF, AND EXCEPT AS EXPRESSLY SET FORTH ABOVE, DOES NOT COVER THE COST OF LABOR OR SERVICES UNDER ANY CIRCUMSTANCES. SOME STATES OR PROVINCES DO NOT ALLOW LIMITATIONS ON HOW LONG AN IMPLIED WARRANTY LASTS, SO THE ABOVE LIMITATIONS MAY NOT APPLY TO YOU. IN NO EVENT WILL NORITZ BE LIABLE FOR ANY SPECIAL, INCIDENTAL, OR CONSEQUENTIAL DAMAGES BASED ON BREACH OF WARRANTY, BREACH OF CONTRACT, NEGLIGENCE, STRICT TORT, OR ANY OTHER LEGAL THEORY. DAMAGES THAT NORITZ WILL NOT BE RESPONSIBLE FOR INCLUDE, BUT ARE NOT LIMITED TO: LOSS OF PROFITS; LOSS OF SAVINGS OR REVENUE; LOSS OF USE OF THE PRODUCT OR ANY ASSOCIATED EQUIPMENT; COST OF CAPITAL; COST OF ANY SUBSTITUTE EQUIPMENT, FACILITIES, OR SERVICES; DOWNTIME; THE CLAIMS OF THIRD PARTIES, INCLUDING CUSTOMERS; AND INJURY TO PROPERTY. Any action for breach of Warranty must be filed and served within 6 months following the expiration of the applicable Warranty Period with respect to the particular Product component. There are no express warranties other than those contained in this agreement. Unless modified in a writing signed by both parties, this agreement is understood to be the complete and exclusive agreement between the parties, superseding all oral or written prior agreements and all other communications between the parties relating to the subject matter of this agreement, including but not limited to statements made by salespersons. No employee or representative of Noritz, or any other person or entity, is authorized to make any warranty in addition to those made in this agreement, or to modify any warranty made in this agreement. Buyer is warned, therefore, to check this agreement carefully to see that it correctly reflects those terms that are important to the Buyer. This agreement allocates the risks of Product failure between Noritz and the Buyer. This allocation is recognized by both parties and is reflected in the price of the goods. Buyer acknowledges that it has read this agreement, understands it, and is bound by its terms.  EZ98 , EZ111, EZTR50 , EZTR75 – 25 years or 15,000 operational (burn) hours as recorded by the Noritz Product, whichever occurs first. Residential Products for commercial use – 8 years or 12,500 operational (burn) hours as recorded by Noritz Product, whichever occurs first. An aquastat is the minimum pump control requirement in order to maintain the full recirculation warranty. Point of use or “on demand” recirculation systems which are thermally controlled (i.e. aquastat) also classify as controlled systems. 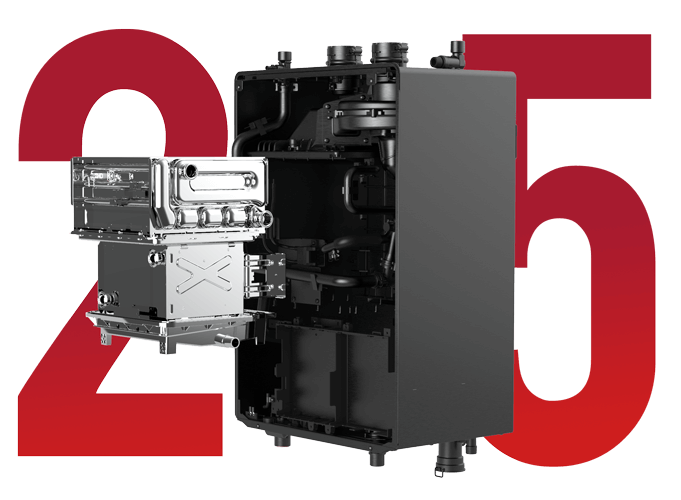 Residential recirculation warranty – 15 years or 12,000 operational (burn) hours as recorded by Noritz Product, whichever occurs first. A reasonable labor rate will be paid by Noritz to an authorized Noritz Service Representative or other approved service/repair professional on Noritz-approved Warranty repairs.